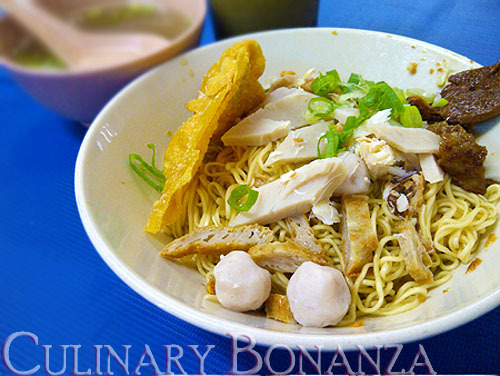 Hi everyone, to start this 2012 year, let us indulge in one of Mangga Besar's legendary street food: Bakmi Kepiting Ayau. 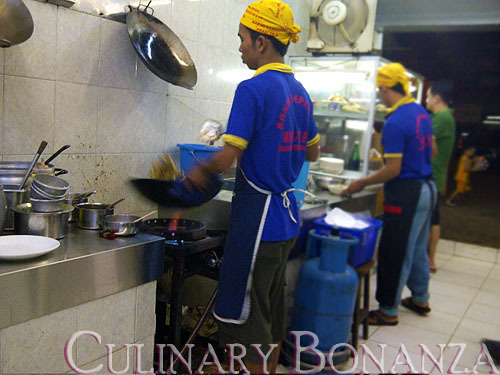 It is located almost adjacent to the cross road from Mangga Besar Raya leading to Jalan Mangga Besar VIII, so it's not so difficult to find. As most Jakartans might have known, Mangga Besar is famous for the array of good (and sinful, some extremely exotic) street treats. So, if you wind up here next time, here's one stall that you can try. This stall has been around since I was a kid (probably even longer!) and the taste has been consistently good. 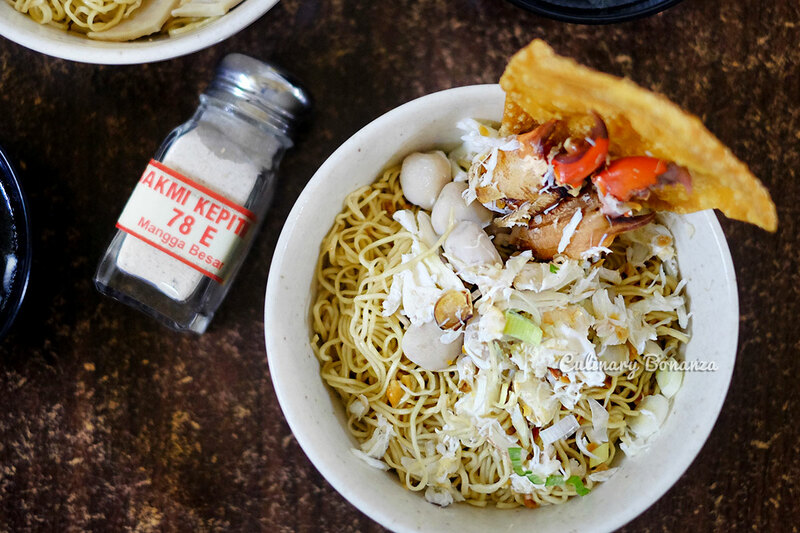 But what makes this crab noodles different than the others? I have tried several variants of bakmi kepiting in my life and so far this is still my favourite. The noodles itself is fine enough and springy, with the garlic oil added, you can literally slurp it up your mouth! I personally find the bakmi here, curiously addictive and the way I eat it, I'd start from the greasiest parts of the noodles (ie: the bottom) and then stirring the noodles around the bowl as I continue my way to emptying the bowl. The secret is in the super fragrant garlic oil, with bitter garlic bits, and the springy noodles. I used to hate garlic when I was a kid, but now I find it to be a really potent seasoning for Asian food! is this a sinful food too ?